The Orka Tennis Ball by Petstages&reg; is the perfect ball for a game of fetch! It's the size of a tennis ball, so it fits in launchers. Instructions: While this product is made of an extremely durable material, no product is indestructible in all cases. As with any product, supervise your pet's use of this toy. Inspect product regularly for rips or tears and remove toy if damaged or if parts become separated, as injury could result. Intended for pets. Keep out of reach of children. I have tried many toys over the last seven years and my Boarder Terrier dog ignored just about all of them. This ball she is obsessed with and cannot live without. 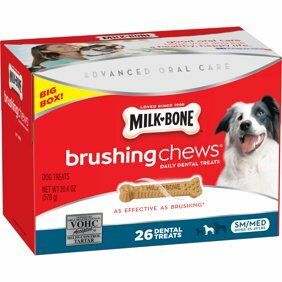 It helps clean her teeth and keeps her gums in great shape. It is soft enough to play with in the house and sturdy enough to throw around and bounce outside. Whenever one finally gets worn out I have to have another one on hand to replace it right away or the dog pines away, mopping whining and whimpering searching everywhere for her ball. So I ordered a bunch of the Petstages Orka Tennis Balls to make sure I never run out.